First let me say that today we published this week’s new podcast, I apologize for it not coming out on Monday as usual, but it’s out there now. I pray blessings on each of you as you listen to this weeks message. Second, it has been a few weeks since I shot out a Ministry Update email, so let me quickly catch you up to speed. The Life Unlimited Series this last July went well. The Wheeling SDA Church in Wheeling WV is a very small church, but a church with a large heart. Evangelism in this church is done on a small scale, but with lots of enthusiasm. There is a small homeschool group in this church that is made up of families of different denominational persuasions, and it was here, in this group that we had our largest attendance from those who were guests visiting the little church there in Wheeling during this series. As I said before, I feel the meetings went well. It was a one week series with two weekends, one on each end. 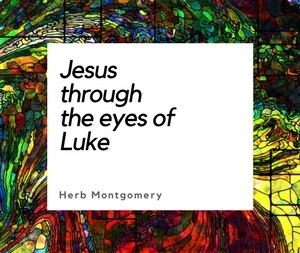 The goal of this series is to help people begin to experience the life and life more abundant that Jesus spoke of coming to give us through encountering and embracing Jesus own view of the Character of God as revealed through the lens of Jesus’ ministry and teachings. Each presentation was rewritten and updated again as this series seems to be the one which is always changing the most. I will say that we are producing a new series currently entitled The JESUS Seminar, which will most likely make the Life Unlimited series obsolete as our evangelistic series here at RHM. We are excited about this change and will keep you posted as we present this new series this October in Honolulu, HI. This will be it’s first “run”, so please keep the series in October in your prayers. I have high hopes and am truly excited. Love, not accurate information alone, a sense of truly being loved by us is the element I feel too many times our efforts are really missing. What each of the guests who came out to this series in Wheeling had in common, was, that before they knew what we believed, they were convinced that, by us, they were loved. They were convinced that we were in complete agreement with what the Cross of Calvary was saying about each of them. That we believed and agreed with the infinite worth that Calvary ascribed to each one of them and we were there primarily, to help and to bless them. When people feel loved, they’ll come out to a series we are offering. This upcoming weekend, beginning tomorrow night, I will be in Hollister, CA at the little Adventist church there. Please keep this weekend in your prayers. And if you happen to be in the area, I’d love to see you. I’ll shoot you an email next week, letting you know how this weekend went. Thank you in advance for your prayers, and as always, thank you for your support. We could not do what we do without your participation. Together we are lightening the globe with the revelation of God’s character of love, centered in the ministry and teachings of Jesus Christ. I love you guys, go build the kingdom.